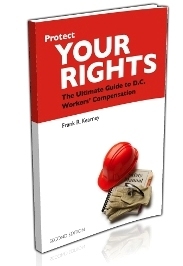 D.C. Workers Compensation attorney Frank R. Kearney has been invited to testify as a witness before the D.C. Council Committee on Business, Consumer, and Regulatory Affairs in September to review the District's workers' compensation program. At the roundtable, the current D.C. workers' compensation program will be discussed. There have been a number of media reports regarding the Administrative Law Judge who did not hold a valid law license and other issues with the workers compensation system. Mr. Kearney, the author of Protect Your Rights, The Ultimate Guide to D.C. Workers Compensation, represents seriously injured workers from all walks of life in D.C. - union workers, iron workers, electricians, construction workers, plumbers, nurses, maids, mechanics, pro athletes, and every type of job in between. We look forward to sharing some of the insight from Mr. Kearney's participation in the Committee's roundtable in a post soon.